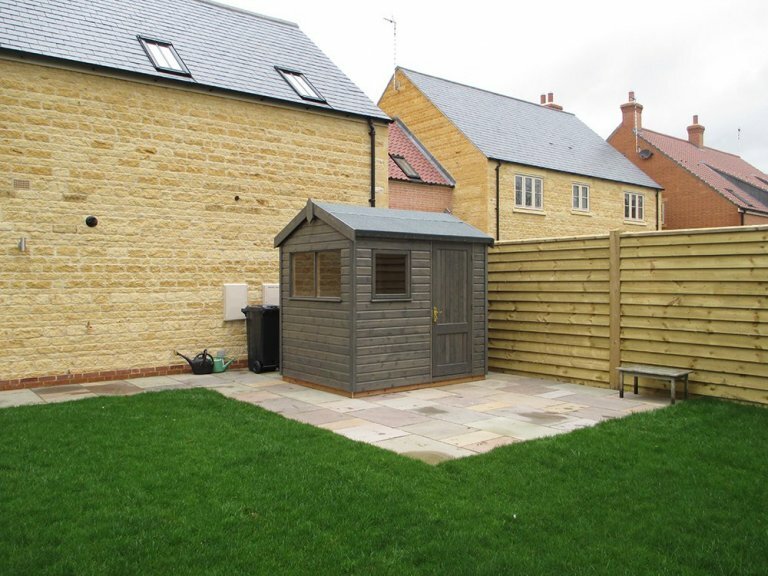 This charming Superior Shed was recently installed for a customer based in East Farndon, Leicestershire. Designed and hand-built at our factory in Norfolk using the finest FSC® certified Scandinavian Redwood timber, the building was then both delivered and installed by our team of in-house installation experts. 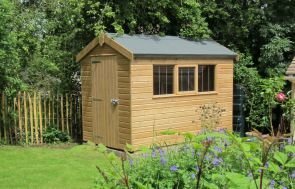 Selected from our vast range of high-quality timber Garden Sheds, the building provides the ideal exterior storage space. The building measures 1.8 x 2.4m and boasts an apex roof covered with our heavy-duty, heat-bonded felt for optimum durability and weatherproofing. There is a single access door in the length along with an opening window for interior ventilation. The door is a bespoke design joinery door rather than our standard shed doors, which was specified by the customer due to their individual requirements. There are also two other fixed windows in the gable of the building. Internally, the customer has opted to have one of our sturdy workbenches installed, along with floor insulation and heavy-duty flooring to protect the building from the storage of weighty equipment and frequent footfall. Externally, the shed is clad with smooth shiplap and painted in the Sikkens preservative stain shade of Grey. This was selected by the customer from our vast range of exterior finishes. In order to take a closer look at our complete range of high-quality timber buildings, we recommend that you pay us a visit at one of our nearest show sites. You can locate your nearest here or get in touch with us on 01760 444229.